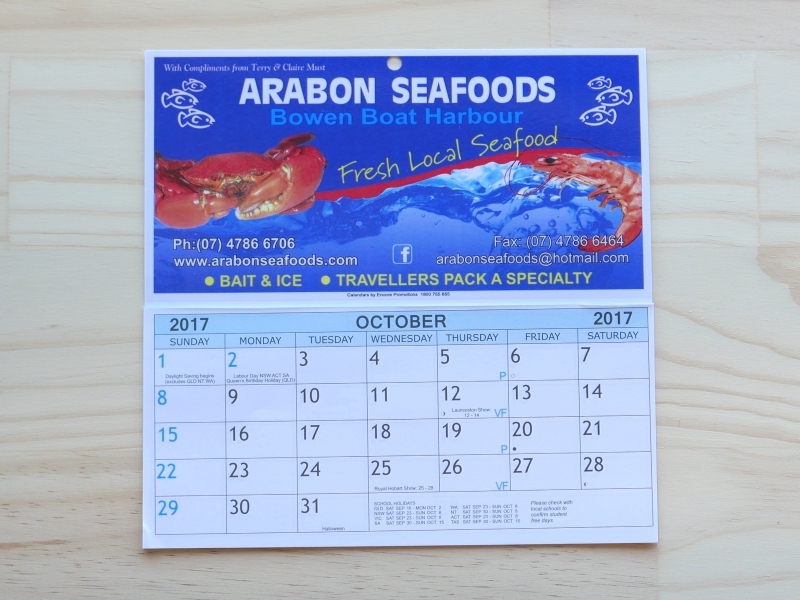 Promotional Business Calendars – Order 2019 calendars now for November delivery 2018. 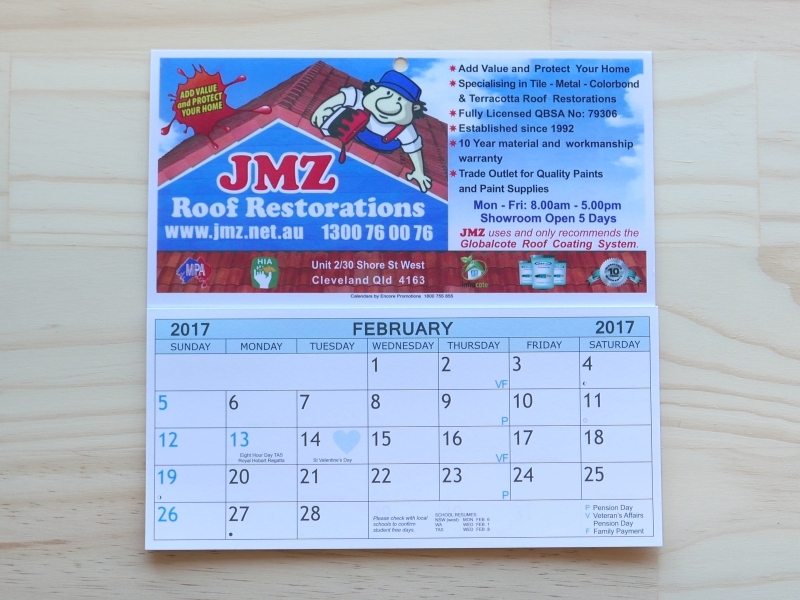 Promotional Calendars are a fantastic way to advertise your business every day of the year. 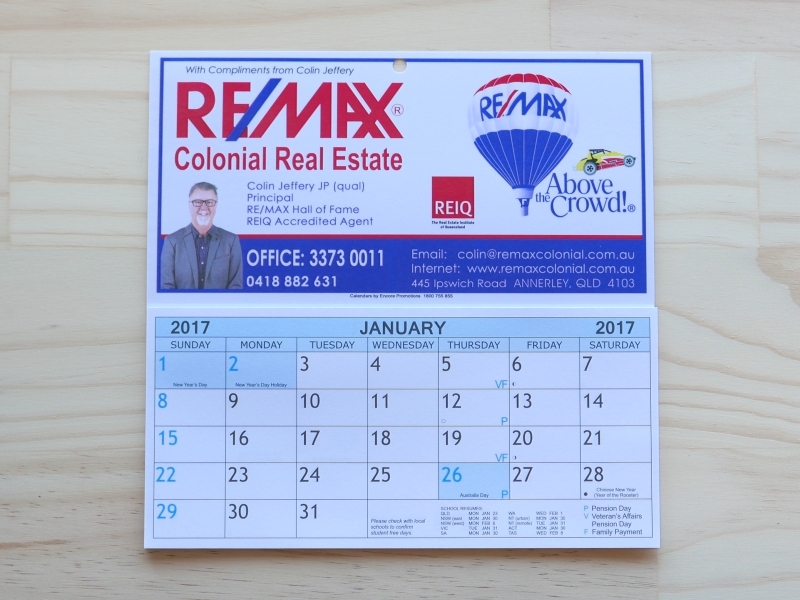 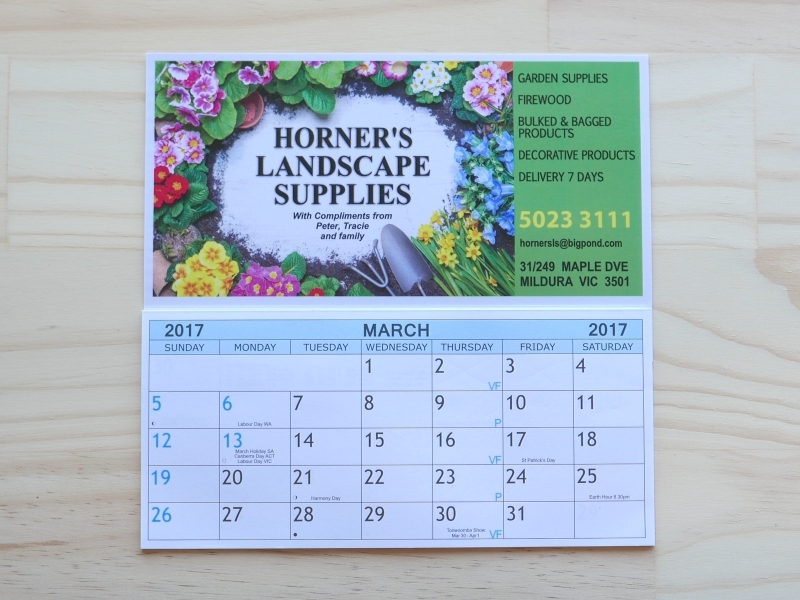 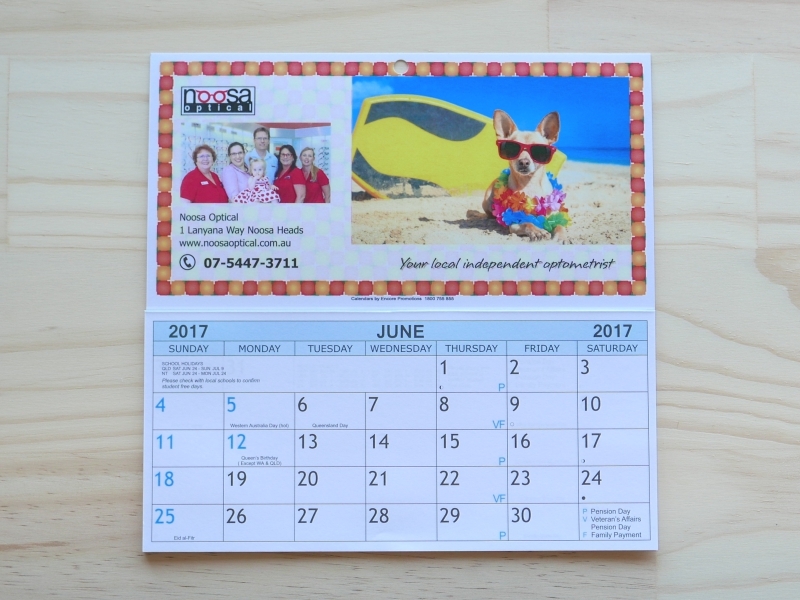 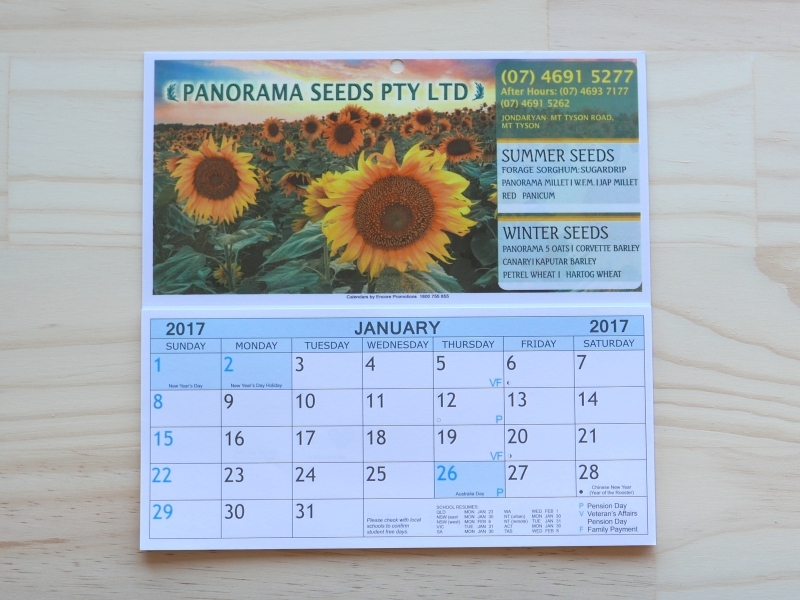 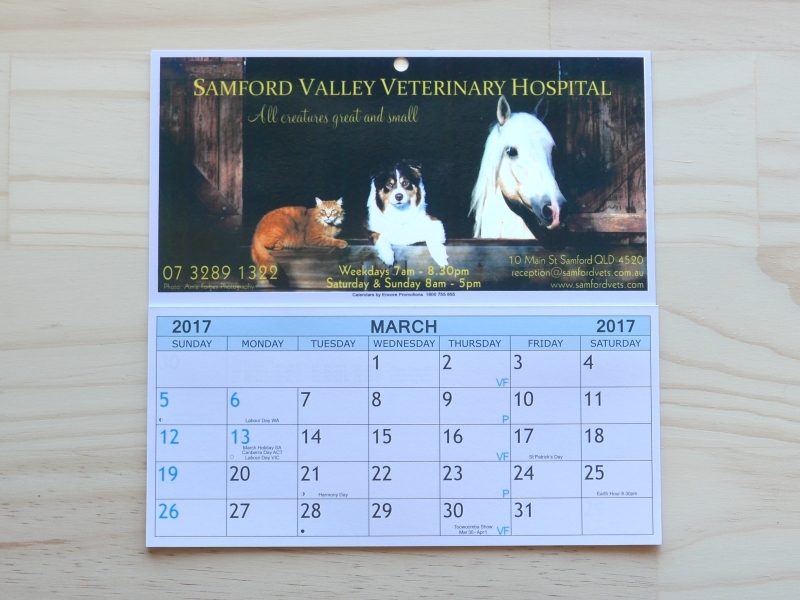 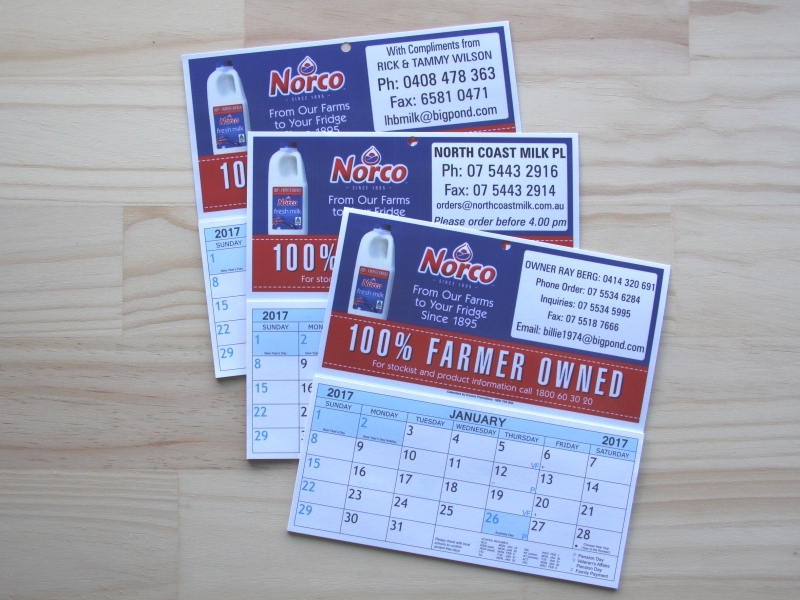 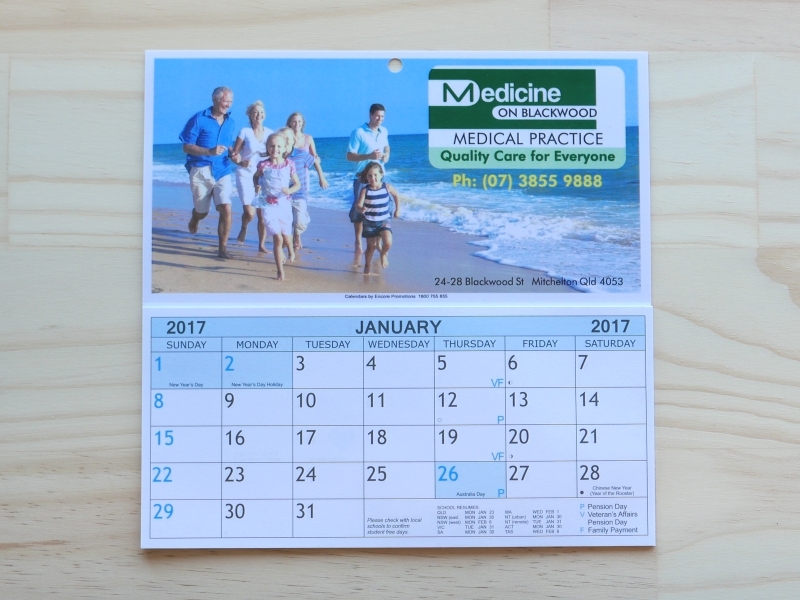 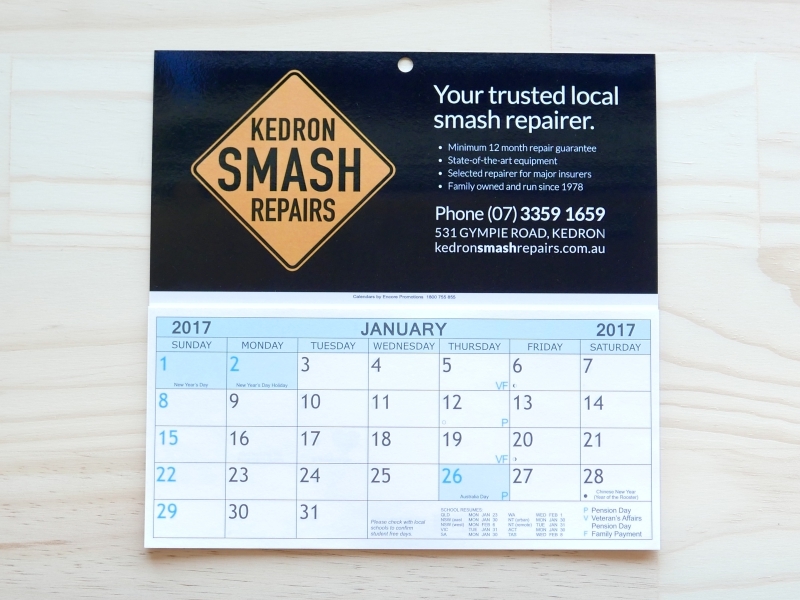 Promotional Calendars by Encore Promotions produce calendars for Australian businesses that can hang on walls or magnetically hang on fridges. 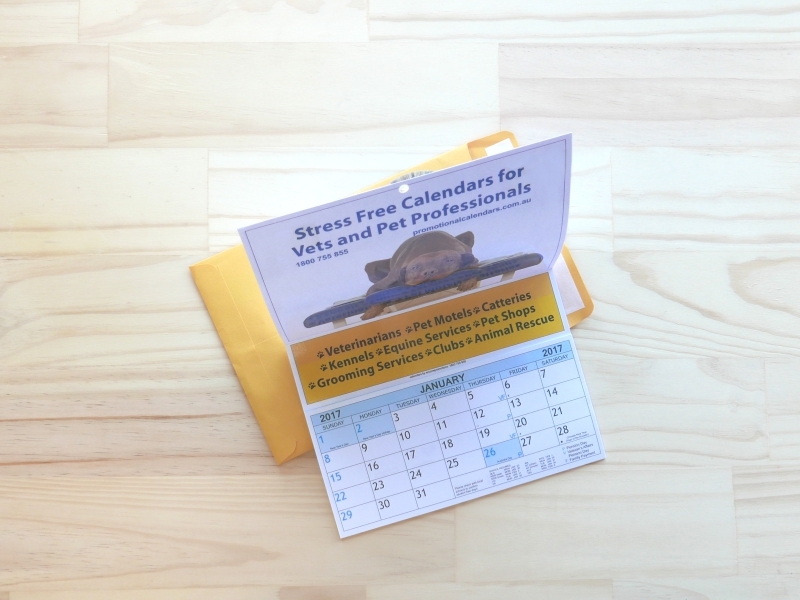 Our calendars even fold into standard envelopes for easy and cost effective distribution. 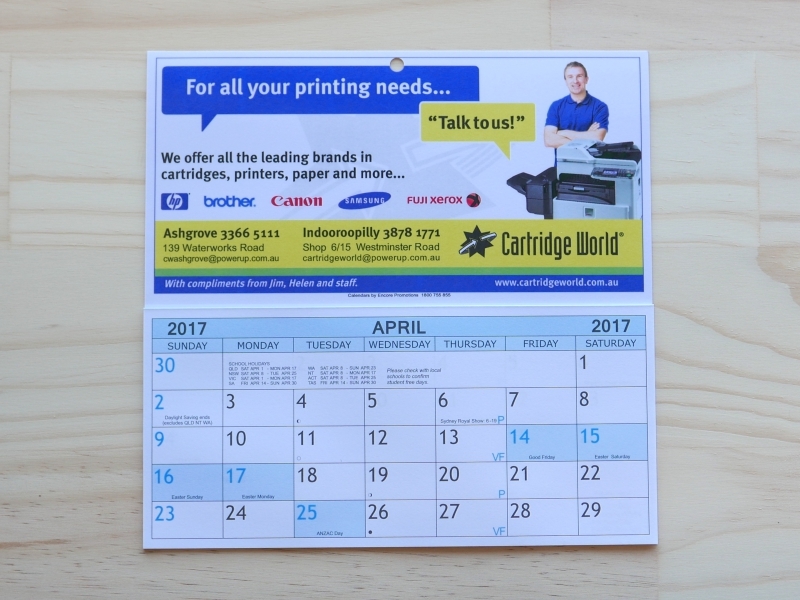 With three sizes to choose from and artwork design services free of charge for large orders, what are you waiting for, enquire today! 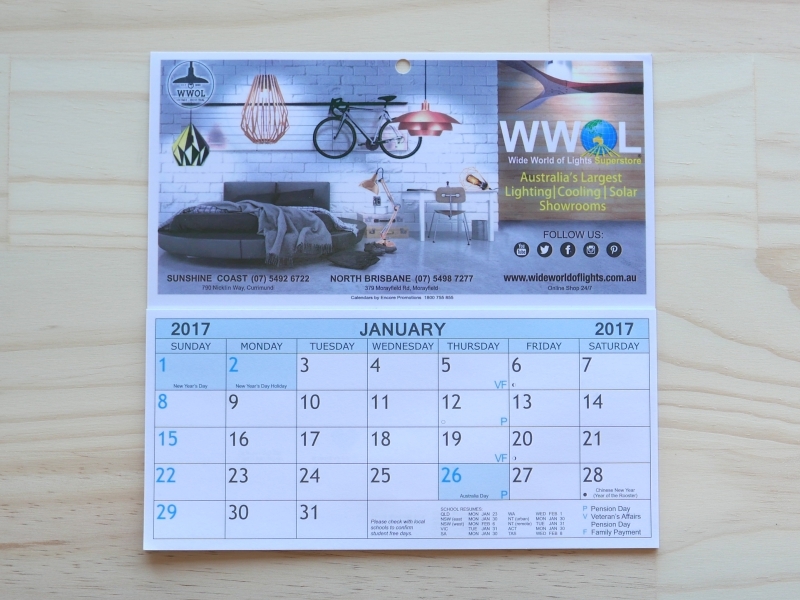 A 12 page date pad – with a blank cover sheet for writing a personalised message. 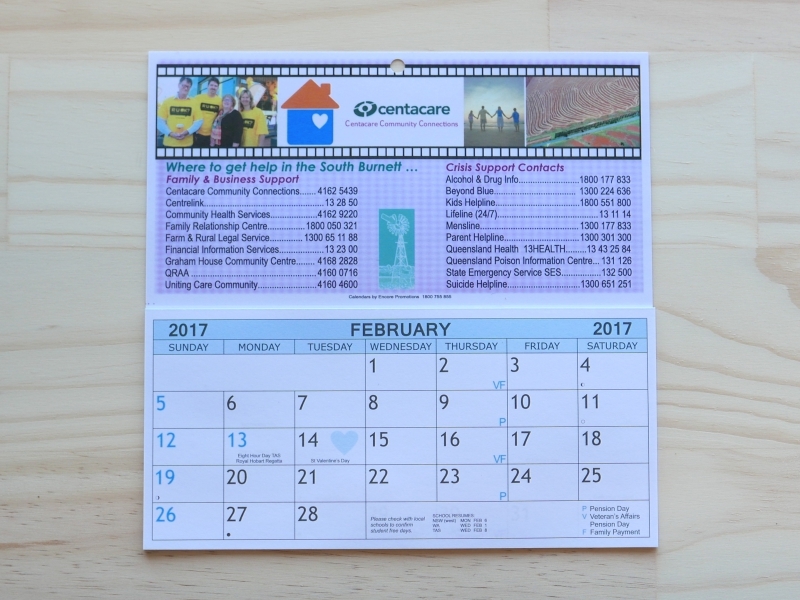 Ready to Order Promotional Calendars? 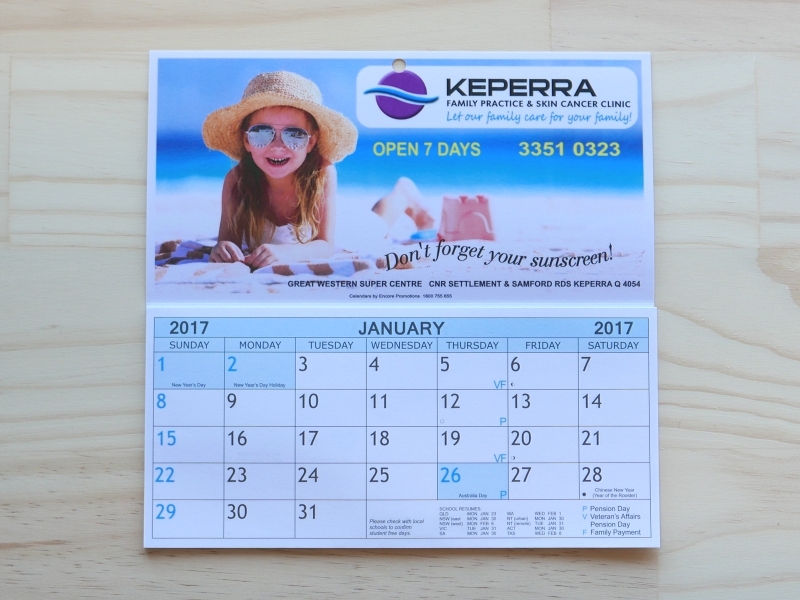 Customised calendars truly represent great value for money. 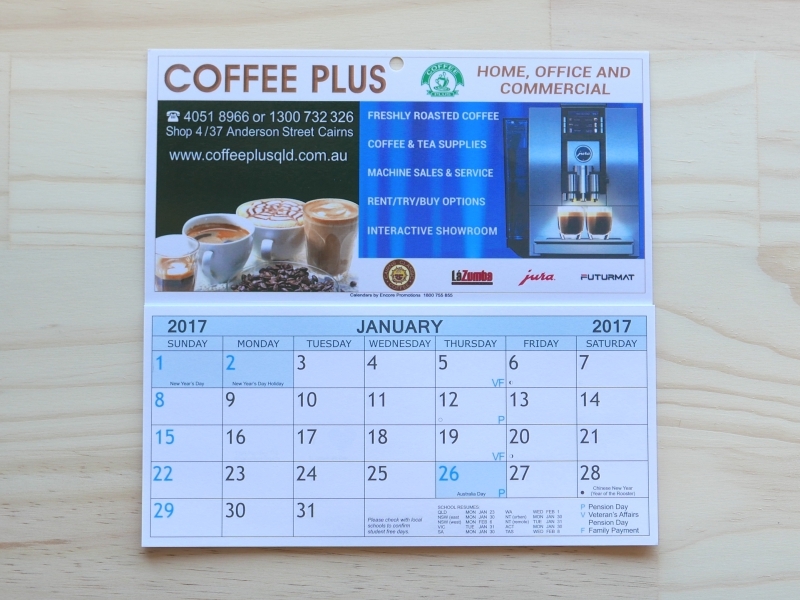 For 12 months advertising, your total outlay is less than a single newspaper ad or each calendar less than your morning cup of coffee! 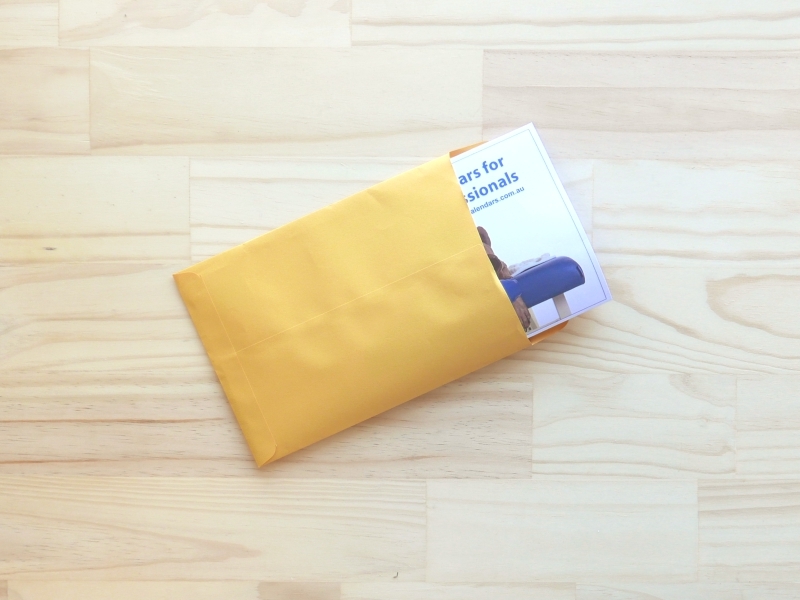 For a tailored quote, please send us an email – we would love to hear from you. 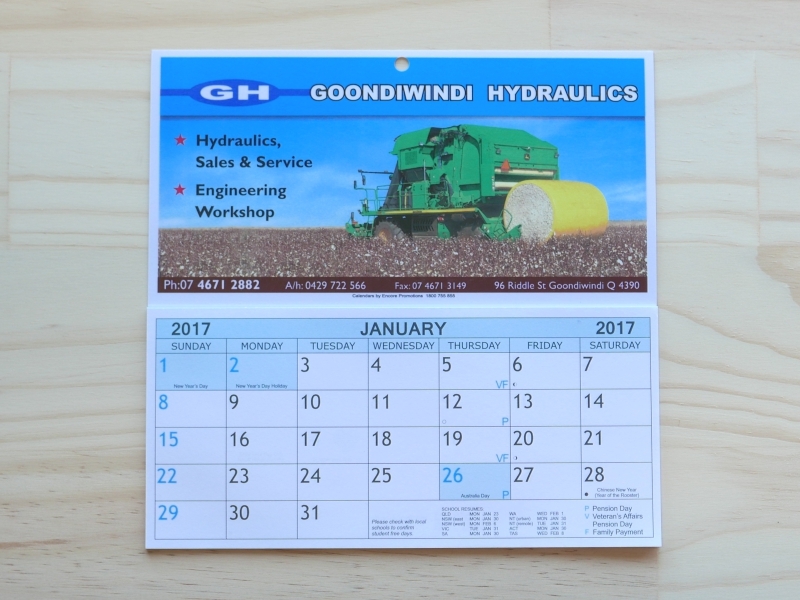 In summary, our calendars are a powerful marketing tool and we’re printing 2019 calendars NOW! 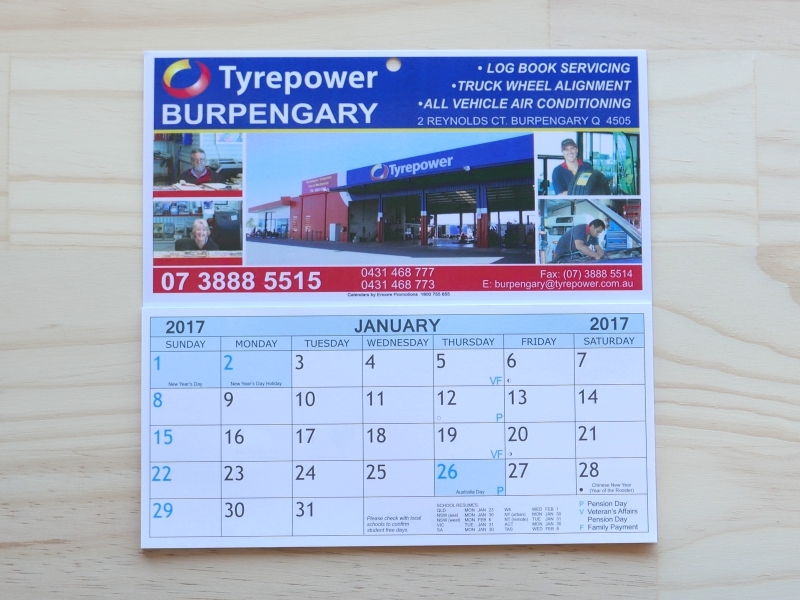 Call us on 1800 755 855 or enquire via our contact form today for more information.